Professor Donald Tan is the Senior Advisor of the Singapore National Eye Centre, Chairman of the Singapore Eye Research Institute, tenured full professor of the Ophthalmology at the National University of Singapore, and chair of the Eye Academic Clinical Program at the Duke-NUS Graduate Medical School. Professor Tan is one of the global leaders in the field of cornea and refractive surgery, having contributed to over 2 decades of clinical, surgical and translational research and education in these fields. His work has led to major innovations in corneal and stem cell transplantation, refractive surgery, and in myopia treatments which he has imparted internationally as a global educator and researcher for over 15 years, having published over 300 scientific papers and contributed 18 book chapters. As Director of the Singapore Eye Research Institute (SERI) from 2000-2009, Prof Tan put Singapore on the world map for research in ophthalmology when he lead SERI to the most number of scientific research publications per capita globally in 2008. He was also the organizing chairman of the Asia-ARVO conferences, the first major international research meetings in vision and ophthalmology in Asia (Singapore), in 2002 and again in 2004, both organized by SERI in partnership with the prestigious Association in Vision and Ophthalmology Research (ARVO) of the USA. Professor Tan is among the pioneers of modern corneal transplantation surgery, pterygium surgery, and ocular surface stem cell transplantation as well as artificial cornea surgery with his highly successful osteo-odonto keratoprosthesis (OOKP tooth-in-eye) program in Singapore. He was among the first surgeons internationally to develop new surgical techniques of corneal transplantation, namely selective lamellar keratoplasty, introducing Deep Anterior Lamellar Keratoplasty (DALK) and is a world-recognized authority, and has recently developed new techniques and devices for Endothelial Keratoplasty (EK). He currently runs various lamellar transplantation courses, workshops and performs live surgery in Asia, Europe, the US, South America and the Middle East. In addition, he runs several courses in LASIK and other forms of refractive surgery at major international meetings, including APAO, AAO, and ASCRS. As a global educator, he has conducted more than 80 international teaching courses and has trained 23 international and local corneal fellows from Singapore, the UK, Netherlands, Philippines, Mexico, Thailand, India, China, Saudi Arabia, Jordan, Australia, New Zealand and Argentina. In addition, he has been organizing corneal and refractive programs for the APAO, Asia-Pacific Society of Cataract and Refractive Surgery (APSCRS) Cornea Society, World Ophthalmology Congress (WOC) and World Cornea Congress (WCC) for many years, and has also served on and chaired numerous international committees for ophthalmic professional organizations, including ARVO, AAO, APAO and APSCRS, as well the editorial boards of several ophthalmic journals and scientific advisory boards. 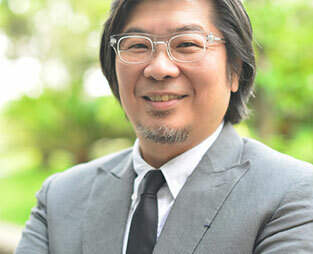 Professor Tan has won over 20 international awards. In 2001, he was awarded the APAO De Ocampo Award and the AAO Distinguished Achievement Award in 2006. In the same year, he was awarded Singapore's first National Award for Outstanding Contributions to Public Health for alerting the international community to a global outbreak of Fusarium keratitis linked to a contact lens solution, which prevented thousands of contact lens users from blindness. In 2009, he was awarded Singapore's inaugural top Presidents Science Award for his contributions to corneal research, and in the same year, he was awarded the Casebeer Award by the International Society of Refractive Surgery and the American Academy of Ophthalmology. In 2010, he was awarded the Saudi Ophthalmological Society Gold Medal, and in 2011, the Australia and New Zealand Corneal Society Doug Coster Award, and the Canadian Society of Ophthalmology W. Bruce Jackson Award, while in 2012, he was awarded the EuCornea 2012 Medal, and the Portland Oregon Arthur Devers 2012 Lecture. In 2007, Professor Tan formed the Asia Cornea Society (ACS), dedicated to professional and educational efforts in reducing corneal blindness in Asia, and was elected as the inaugural President, a post he still holds today. In 2009, Professor Tan formed the Association of Eye Banks of Asia (AEBA), dedicated to enhancing eye banking activities and standards in Asia, and advocacy for eye donation in Asian countries. In recognition of his efforts and international contributions, Professor Tan was elected as the 2010 Vice-President/President-Elect of the Corneal Society, and in 2012 became the Cornea Society's first international President.